Video Game Storybundle 4.0 – onto the next age. It’s that time, again – after the third Video Game StoryBundle that I curated debuted back in April, I’ve been working diligently with a bunch of authors, magazine editors, and even musicians (!) to curate the fourth one, which launched this morning. Lots more info below – with books from Anna Anthropy, Zoya Street, Colin Campbell, Jeremy Parish, and music albums ft. Manami Matsumae (Mega Man) & Austin Wintory (Journey) – but I’m super proud of this bundle’s diversity and readability, so please go buy it and support the authors if you have a chance. “Continuing its popular “pay what you want” ebook bundles, StoryBundle is proud to present the Video Game Bundle 4.0. The specially curated set of thirteen full-length game culture & history books/magazines & follows up three previous bestselling digital game bundles. It once again features over $50 worth of books & magazines—plus two full-length all-star music albums—for a fraction of that price, with the gaming non-profit SpecialEffect our lead charity for this bundle. The basic purchase tier ($3 or above) for Video Game Bundle 4.0, curated by game industry veteran Simon Carless, includes Boss Fight Books’ sharp full-length analysis of seminal SNES RPG Chrono Trigger, by Michael P. Williams, plus Delay: Paying Attention To Energy Mechanics by Zoya Street – a wonderful starting point for literature about social games design. Also featured in the bundle are In Play: Tales Of The Gaming Netherworld by Neils Clark, in which the game addiction specialist presents a series of vignettes that add up to a remarkably thought-provoking whole – plus Gamers At Work by Morgan Ramsay, featuring some of the most interesting and methodical interviews ever with video games’ originators – from Nolan Bushnell to Warren Spector and beyond. Finally for the basic tier, Piranha Frenzy by Colin Campbell is the first work of fiction from the noted video game journalist – puckishly set in the world of game journalism and publishing, and just as cheeky and thought-provoking as you might imagine, given that. The higher-tier rewards—available at the higher payment tier of $12 or your local equivalent—include The Anatomy Of Super Mario Vol. 1 by Jeremy Parish. 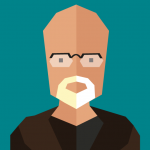 You probably know Jeremy as one of the most respected retro-focused video game journalists in the world today. So it makes total sense that we’d get one of his Anatomy Of books for his first StoryBundle inclusion – and start out with one of the best video games of all time, Super Mario. 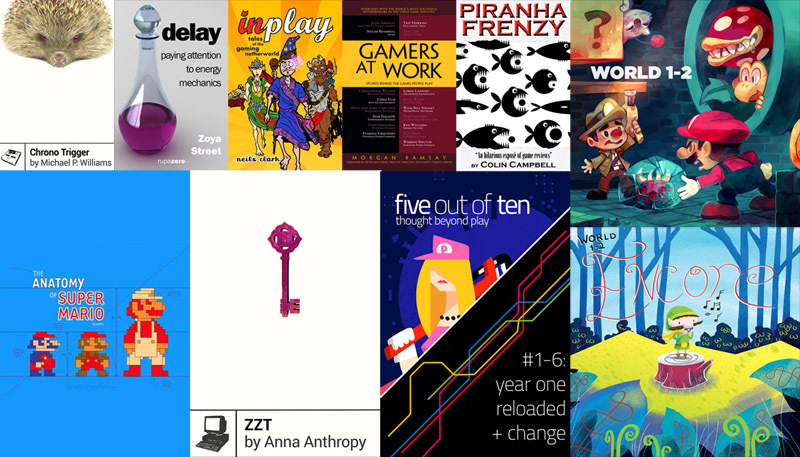 In addition, you’ll get ZZT by Anna Anthropy, a wonderfully researched paean to ZZT, Tim Sweeney’s PC game turned game construction kit, plus Year One: Reloaded & Change (6 full magazine issues!) by Five Out Of Ten – six complete issues of one of the best game mags out there, with a cornucopia of voices, variety, and viewpoints! The bundle is available for a very limited time only, via http://www.storybundle.com. It allows easy reading on computers, smartphones, and tablets as well as Kindle and other ereaders via file transfer, email, and other methods. You get multiple DRM-free formats (.epub, .mobi and some .pdf) for all books, but after the three weeks are over, the bundle is gone forever! Pay what you want (minimum $3): You decide how much five fantastic books are worth to you. If you can only spare a little, that’s fine! You’ll still get access to four thrilling titles. Give to worthy causes: Bundle buyers have a chance to donate a portion of their proceeds to charity. We’re currently featuring Special Effect, Mighty Writers and Girls Write Now. Receive extra books: If you beat our bonus price, you’re not just getting five books, you’re getting seven books, six magazine issues and two full-length albums! Hello to all, how is the whole thing, I think every one is getting more from this website, and your views aree good in favor of new visitors.